Named not for the Indian tribe nor the great lake, Huron was actually the first name of the local storekeeper's son. The Gist family arrived after the Civil War and opened their modest enterprise. 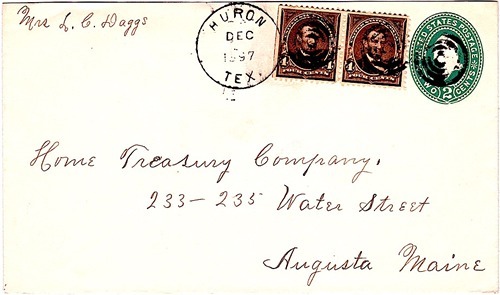 Jehu McPherson "Huron" Gist made the application and the post office was granted in 1897. It closed in 1904. In 1918 a fire destroyed the local school which was soon replaced. A school remains in Huron today. Huron doesn't have a cemetery of its own - but it isn't too far from Hill County's Jawbone cemetery.